Oh I do like this cartoon one of my tenors GA sent me. He drew it after last month’s singing adventure by the sea in Wales organised by the marvellous Roxane Smith. 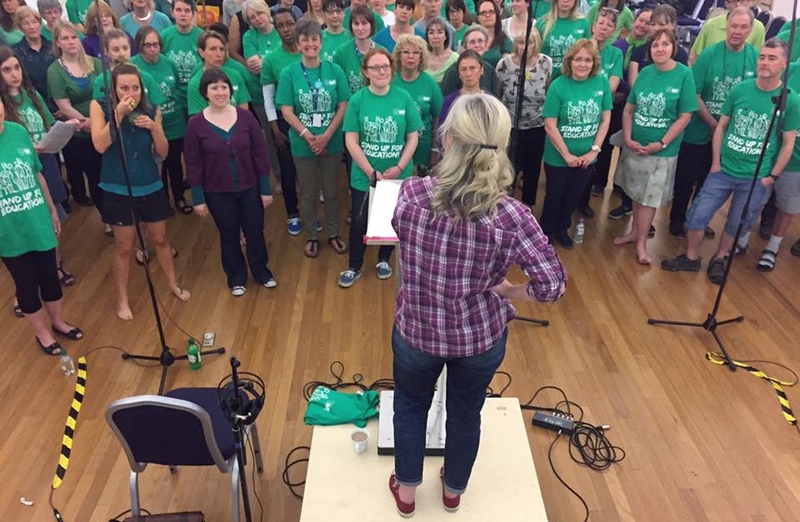 We were a mixed bag of singers from all parts of Wales, Lancaster, Exmoor, London and other exotic places. It was billed as a weekend of ‘pop,’ led by ‘yours truly’. A very small handful of people seemed a bit shocked that we were singing pop and not gregorian chants…strange – possibly not read the small print. Some great new friendships were made…some were not…ha ha. 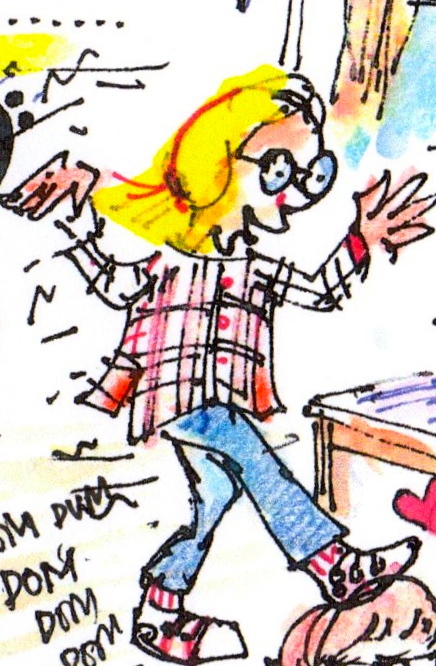 That’s me in the middle, waving my arms about, trying to be in charge, drawn to a ‘T’… with my regulation check shirt on…( note to all arm wavers, check and tartan are good patterns to wear – disguising buckets of sweat in their multitude of colours and stripes. ) GA has possibly gone for a little exaggeration in the ‘swooning’ of the sopranos over the basses, but there was a little going on, one particular bass nearly got kidnapped and taken to Lancaster. We learned and sung this in 4 part acapella during the weekend. For some reason a couple of men, closer to the age of Coldplay, took a dislike to this song. When I went back to London and I told a bunch of kids of about 8 and 9 olds from an inner city school that some people did not like this song, they were disgusted! How could anyone dislike ‘Viva La Vida!’? Ah!!!! So 2 versions today. The original( 99 million hits on youtube!!) and the other by PS22, a bunch of fantastic inner city kids in New York ( nearly 3 million hits)…well worth watching both as it gives you a focus on the song…..which is, in my humble opinion a great piece of writing.